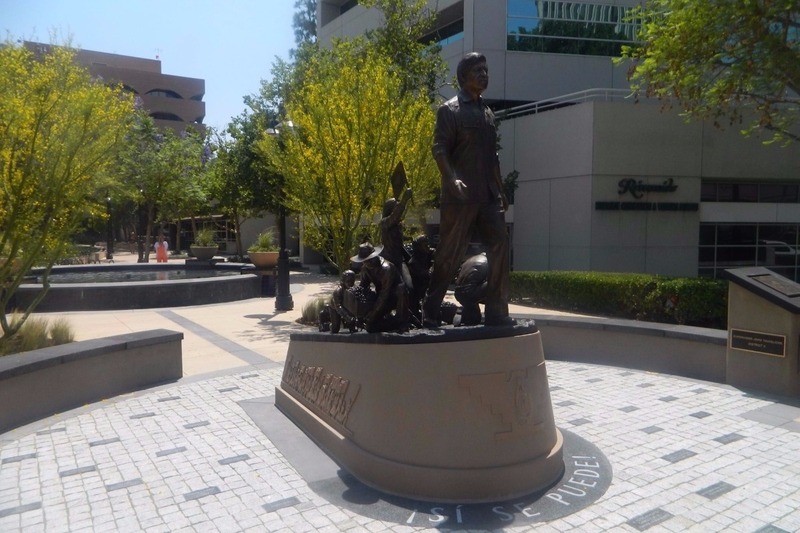 The Cesar E. Chavez Memorial was unveiled in downtown Riverside, California on June 8, 2013. The Memorial details the struggles and victories of Cesar E. Chavez, for dignity and respect. 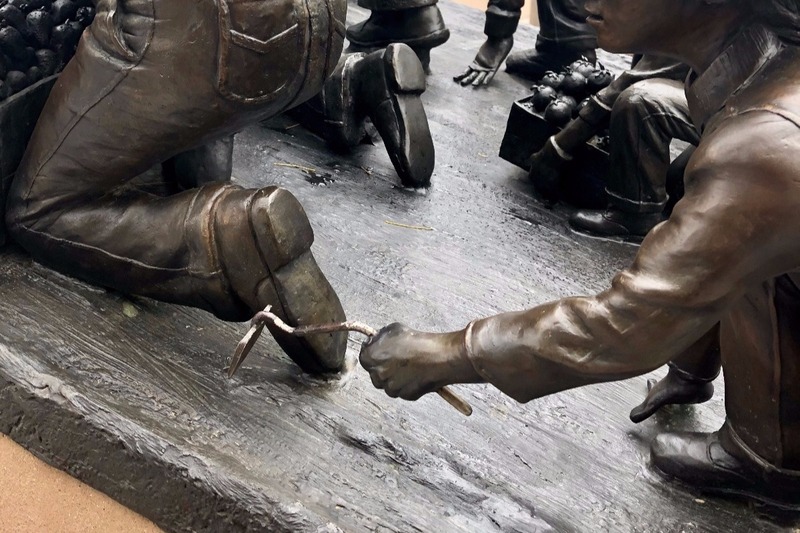 In designing the monument, sculptor Ignacio Gomez stated, "My aim is to stir strong emotions in all visitors when they see this depiction of Cesar Chavez and the farmworkers to whom he dedicated his career and life." Latino Network is raising funds to repair and restore the damage done to this beautiful memorial. This is the third time it has been damaged and defaced by vandals. Any amount is welcome. 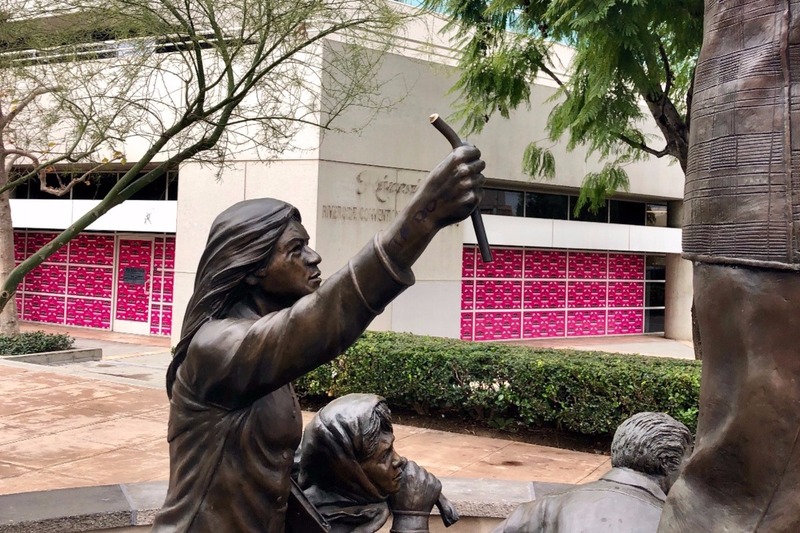 The Cesar E. Chavez Memorial is part of the Peace Walk in the City of Riverside’s downtown Main Street. We will restore and maintain the Cesar E. Chavez Memorial so that the community and visitors may enjoy and reflect on the legacy of Chavez.